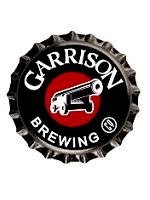 Garrison Brewing has announced their winter line up! "Despite the decent weather, winter is coming and our selection of specialty beers just got bigger - Martello Stout, Black IPA and Winter Warmer are now officially available. Also look for Grand Baltic Porter, PiLs Lager and Spruce Beer - all before Christmas! Yep, six great ways to stay warm on those cold winter nights. ;)"
Look for these fine beers on the east coast. Hopefully some will come to Ontario soon!